Home » Printing technologies	» What’s the difference between offset printing versus digital printing? For prospective print customers, the difference between offset printing and digital printing is that digital printing is better suited for short run printing (i.e. starting at 1 single copy) and offset printing is better suited for higher volume printing (i.e. starts being economical 2,000+ identical copies). Both types of printing produce print products that are extremely high in quality and fit for professional quality printing for businesses. The key factors that make customers choose one over the other is typically the volume of the print project and niche project requirements. There are other differences—such as color capabilities and sheet sizes that differ between offset printing versus digital printing. This article will detail those differences as it pertains to print buying. Note for MGX Copy customers: MGX Copy utilizes both digital printing & offset printing depending on what is best for the print project. Picture to the right is an example of an offset press. Picture to the bottom is an example of a digital press. The technological difference between offset printing versus digital printing is in the way the images get transferred onto the paper. It is this difference that affects the cost economics of running these machinery, and this difference in cost gets passed onto the printing customer. Offset printing uses etched metal plates that apply ink onto a sheet of paper. The setup for offset printing is generally significantly more time consuming and expensive than digital printing. The metal plates—one plate per each color being used—need to be etched, and applied to the rollers that transfer the ink onto the paper. Then, the press needs to be run for a few minutes on “scrap” sheets of paper until the plates are properly inked; think of it like “warmup” sheets that are eventually thrown away. On the other hand, digital printing uses electrostatic rollers—called “drums”—to apply toner onto the paper. The drums—again, one per each color being printed—use an electrostatic charge that attracts toner in the form of toner density. The toner is then applied onto the sheet and then fused—passed through a high-heat unit—onto the paper. Digital printing can easily print out one sheet of paper or a copy of a booklet with minimal setup. 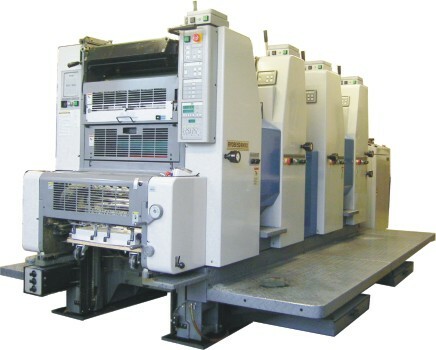 However, offset printing requires a considerable amount more setup time and material. The ink and each sheet of paper that comes off of an offset press is actually cheaper than that of a digital press, but the savings only make sense if the print job is at a high enough volume. Most businesses today doing frequent, quick, and constantly changing print content opt for digital printing. On the other hand—businesses that print in volume and don’t change their content frequently opt for offset printing. So again—the volume of printing is a key difference between offset printing versus digital printing. There are a few other differences that show up when print customers are shopping around for printing services. The first of those differences is the sheet size. 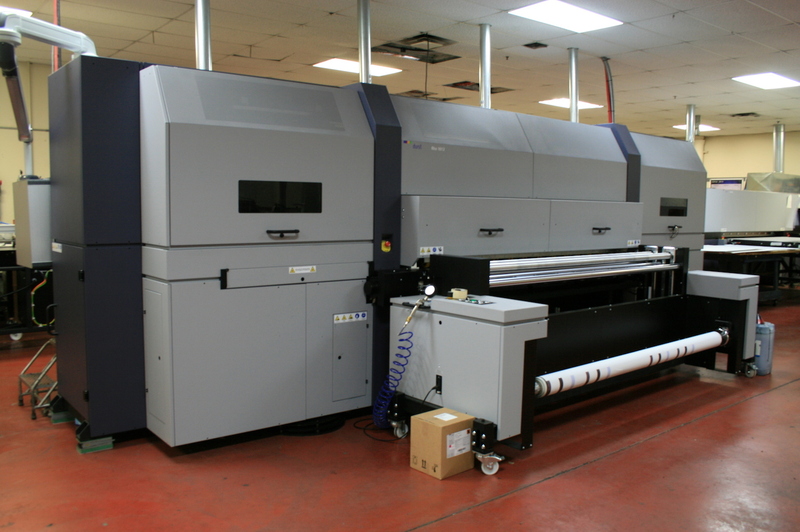 Digital printing typically runs smaller sheet sizes—typically 19” sheets with some machines going up to 29”. Offset printing on the other hand typically runs presses that are 29” and 40” sheets. This increase in size occasionally allows for some kinds printing that isn’t possible on smaller sheets. Some examples include posters, books requiring large covers, and certain kinds of brochures. When dimensional print size is important, but the print volumes don’t merit use of an offset press, customers frequently turn to digital wide-format presses for short-run printing. There are some cases of wide-format printing that cannot be done on digital wide-format presses—as in certain kinds of printing surfaces like packaging material, plastics, etc. The second of those differences is the color representation. Every piece of printing equipment offers slightly different interpretations and controls over how colors get applied onto a page. Offset presses can provide certain color controls that are superior to digital printing. For example, printing Pantone colors (a color management system) is more precise on offset presses because they actually use Pantone ink. This is important most typically for large corporate brands for which color consistency is worth a considerable amount of money. The third of those differences is that digital presses are significantly cheaper for fast-turnaround projects. Digital printing offers incredible turnaround times because the significantly smaller setup time. Shops doing digital printing well can offer same-day and next-day printing much more efficiently and cheaper than those with offset printing. For example, it would make sense to throw a project onto several digital presses that require minimal setup. On the other hand, throwing it onto multiple offset presses would require multiple plates and time to properly ink the plates. To explore your printing options for offset printing or digital printing, please contact us today! This post was written by Andrew Shu, editor for both the MGX Copy blog (about printing) and the MGX Mindshare blog (about marketing). He is hugely passionate about all things “MGX”, and is involved in all aspects of its operation and administration; this includes web/software development, print production, customer service, and internet marketing. Ask him about anything related to MGX Copy, printing, software, and business, and he’ll probably talk your ear off! You can reach Andrew directly on Twitter (@AndrewAtMGXCopy) and Google+ (+AndrewAtMGXCopy). If you have any questions, feel free to reach out to him. « Where can I buy a full bleed printer?